Arundel & South Downs MP Nick Herbert has raised the loss of cashpoints (ATMs) in Henfield after local traders contacted him about their concerns. Mr Herbert has written to banking leaders and regulators after Henfield’s business owners told him of the problems they were facing because shoppers in the village have been unable to obtain cash. “Rural constituencies like mine have suffered from local bank branch closures and my constituents now also find themselves with even more restricted access to cash machines. “Natwest Bank removed its ATM on 5 June and Barclays had its ATM stolen in a heist on 15 April. It is not yet clear when it will be replaced. 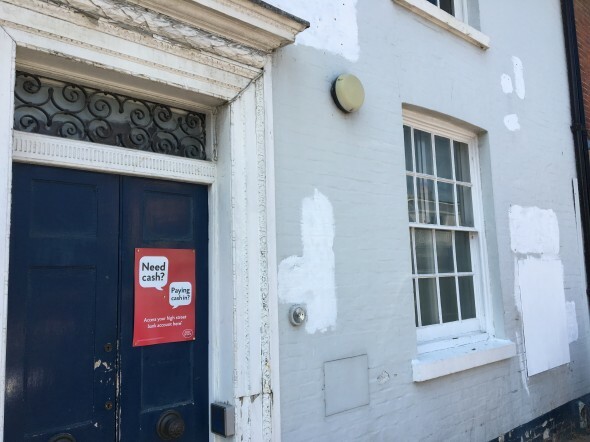 “This lack of ATM provision is having a detrimental impact on the financial, commercial and social lives of Henfield residents, and a number of my constituents have written to me about this …. Nick Herbert said: “While the Post Office can replace high street banking services, we still need cashpoints in our villages. Our high streets are under enough pressure as it is. We need to attract customers to local shops and businesses, and it’s important not to add to these problems”.